Our friend Andy over at Now in Colour has set up an interesting project that kicks off today. First up is Bob Book, a story about “the brief life and untimely death of an elastic band”. 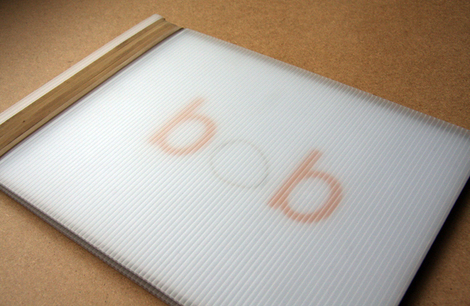 I put this together in my first year at St Martins, and it’s still one of my favourite projects. The typography is rubbish (14pt Arial? I didn't have a clue...), and the mix of photography and hand drawn images is peculiar, but it’s got real heart to it, and that just about carries it through. And I’m still quite proud of the binding, which is just a series of elastic bands stretched across two corrugated plastic boards. You can see the full book on this Flickr slideshow. 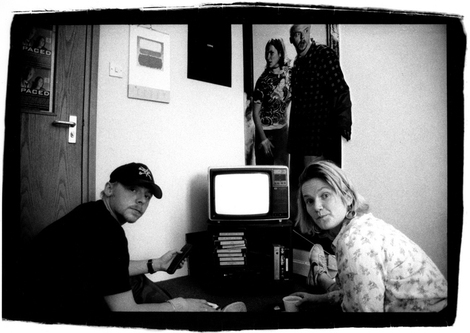 Next up is a series of pictures I took of Simon Pegg and Jessica Stephenson when they were writing the second series of the TV show Spaced. It was just a great way to spend a day. As a project it reminded me that there’s a real freedom you have at college to get in touch with people, and it’s hugely important to make the most of that. You can see more work from other creative folk at the Early Designs Flickr group.